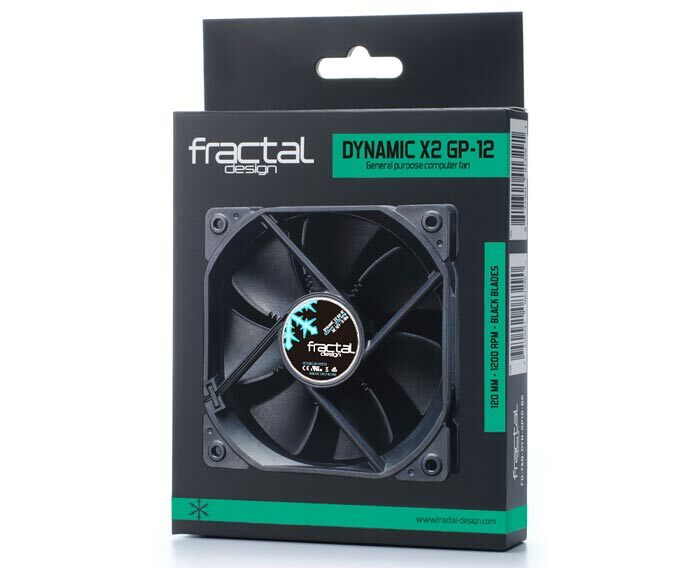 Fractal Design has expanded its Dynamic Series of fans to include the new Dynamic X2 GP-12 and Dynamic X2 GP-14 all-purpose fans. As you might guess from the model names, these are 120mm and 140mm fans respectively. New to these fans, compared to the non-X2 versions, is the use of high-grade LLS bearings. The new bearings help the Dynamic X2 fans to a 100,000 hours MTBF figure. The non-X2 fans in the series use hydraulic bearings with a claimed 40,000 hours MTBF. Other than the new features mentioned above, there appears to be little difference between the new Dynamic X2 Series and the non-X2 variety. Design and performance seems to be identical but there is a little difference in input power – the new X2 Series designs with their LLS bearings have a slightly lower wattage. 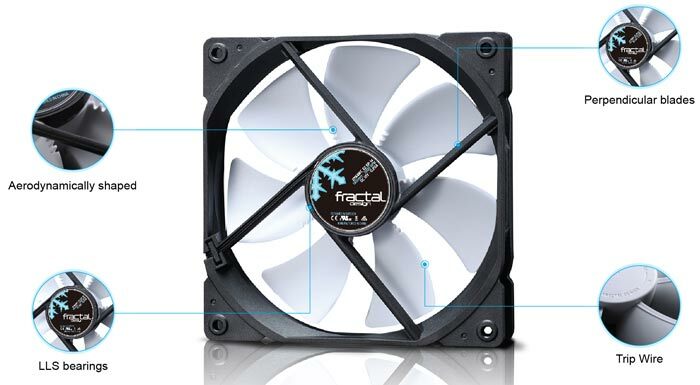 All the Fractal Design Dynamic Series are general purpose fans featuring aerodynamic elements, chosen for their minimal noise characteristics while being capable of shifting good quantities of air. 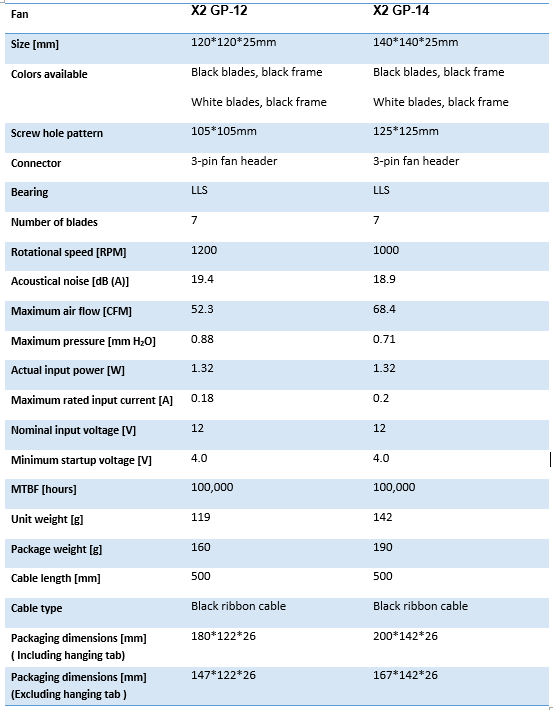 They are made available in both black and white perpendicular bladed designs. these are 120mm and 14mm fans respectively. So the only difference is an LLS bearing . . . which is? Only guessing but maybe it stands for Long Life Span, typical sleeve bearing lasts around 80k hours.